This was the opening cinematic for one of my old timey favorites: Legacy of Kain: Soul Reaver, released in 1999. Imagine the sound of the Elder God’s voice. Does it sound like Mickey Mouse? How about John Madden? Perhaps it has a cockney accent, or a deep southern twang. No, all wrong. A creature like this would have to have a deep, stony voice and the developers at Eidos Interactive hit the mark perfectly when they hired Tony Jay as a voice actor for the project (You may be more familiar with his voice acting roles as Shere Khan from The Jungle Book or the evil Judge Claude Frollo in Disney's The Hunchback of Notre Dame). 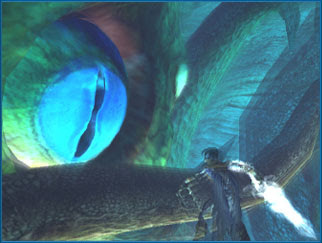 Legacy of Kain: Soul Reaver suffered from many issues as a game, but quality voice acting was not one of them. Taking a look at the medium as a whole, voice acting has been one of the fastest-evolving aspects of the art form, even as narrative and plot remain stunted. Many developers have done an excellent job adding a level of immersion to their games by paying attention to this detail. Even in the early days of voice acting, some game developers were doing it right. If you played Warcraft II: Tides of Darkness, I’m sure you spent at least a little time antagonizing your characters until they became frustrated with you. That was fun in itself but the important thing was the quality of the characters’ voices. The Orcs sounded gruff and violent, the Ogres sounded big and dumb, and the humans sounded stoic and upright. These touches gave the player the feeling that he or she was actually commanding an army of individuals rather than a horde of faceless units. It made the game more fun, more immersive, and certainly more memorable. Bethesda called in none-other than Patrick Stewart (You may know him by his proper title, Captain Jean-Luc Picard of the Starship Enterprise) to voice the beginning narration of its fantasy release The Elder Scrolls: Oblivion. In a game that suffered from playability issues and an over-reliance on hardware, the celebrity cameo added not only a quality voice actor to the game but also a degree of artistic legitimacy to the medium. As video games continue to grow in popularity we will no doubt see a further influx of big-name celebrities as voice actors. This is a double-edged sword of course, but certainly an interesting development. Yikes. Don’t blame Drew Coombs, the voice of the protagonist in this clip. I don’t think any voice actor could pull writing like that out of the fire. Voice acting, for its part, has come a long way in the short time it has been a part of the video game medium. As worlds become more immersive and involve a greater variety of characters, it will be interesting to see how the gaming industry handles the challenges of voice acting on a large scale. While it is clear that voice acting cannot do the job of good writing it is very encouraging to see some real talent being applied to the medium we love. It's interesting you mention Oblivion. One common complaint I see often is that the cast is nearly varied enough outside of Patrick Stewart and Sean Bean: all the male elves sounding alike and so on. One area I think could use a bit of work is in the realm of localized voice acting, most commonly when a Japanese game is brought overseas by a publisher. The added dimension of translation would be another obstacle in this case. A few, of course, would argue that an English track shouldn't be bothered with at all and the original voice acting be preserved with only added subtitles, but that's an entirely different topic. It is sort of funny how wildly the voice acting in Oblivion varies from incredible (Patrick Stewart) to ridiculous (Gee, you sound awfully familiar, shady dude # 412). A good example for both the good and the awful of the voice acting world.